And how does the last entry relate to my despair? Like Jonathan, I want to have my feelings acknowledged, so that I can let them go. I show my moods, my feelings and my beliefs to myself, when I paint. Before I start, I always ask that the painting will show me what is going on in my thinking, feelings and mood. This is like asking, before I start the painting: tell me how do I feel now, with all the links to my subconscious? Now, in order to know how I feel, I need to come out of the feeling and still feel it at the same time. It is only possible if I find a way to become aware. Awareness is a strange ability that we all possess and use when we need it. It is exactly what I wrote before: We somehow find a way to disengage from our involvement with our immediate experience, while allowing the experience to go on, so that we can become the watchers of it. Becoming the watcher, in this way, is actually stepping into a deeper or bigger aspect of us. We cannot become observers of our own feelings or inner experiences without doing this stepping into the deeper, wider aspect. This aspect is always watching our inner experiences, from the time of our birth to the last minute of life. It is independent. It always allows everything to happen, without interfering. So this ability to watch and let be, is in every single one of us. If we decide to dip in this aspect of ourselves more, we see more of our inner experiences and it starts to become clearer to us, when we feel good and when we feel not so good. Then, naturally, with this inner view to support us, we tend to choose the experiences that make us feel better, and we also choose to let go of the experiences that cause us to suffer. In this way we improve our everyday experience of life. We veer ourselves toward more of what we like and away from what we do not like. Overall our mood becomes good in more of the time, and this is called emotional healing. The use of this facility is actually the only thing that can heal us. And we are the only entity in the world that can do it for ourselves. Other people can help us develop this ability, to dip in our larger aspect and look from inside, but other people cannot really change anything in our inner world. It is our own choice. We have to do it for ourselves. So every healing is actually a self-healing. Check inside. Dip and see, if you want. Good? Interesting? Unexpectedly enriched? Lost? Frightened? Awed? I think this is already long for a blog post. So I’ll add one more entry in this little series, to finish it off. But I’ll tell you here that art making can be a very effective and powerful way to get into this deeper larger aspect of who-we-are. I’ll write about it in the next entry. This is the beginning of the answer that I asked in the previous post. I sat with the eleven years old boy in the art therapy room. Let’s call him Jonathan. Christmas was coming and he wanted to draw a Christmas tree. I have been working with him for a few weeks by now and noticed that he always preferred to make things that he had already made before. He did not feel up to the challenge of imagining and inventing. I let him do what he chose to do. Several times he wanted to cast a plaster mask and paint it later. There was a lot of white plaster dust on the dark table, and As Jonathan was working on the cast, I spread some white plaster dust on my side of the table and drew in it with my finger. In the end of the session I asked Jonathan if he wanted to have some dust on his side, so he could draw in it with his finger. The first time he only smiled. The second, he shyly drew something. And it became the ritual in the end of every session. I took pictures of his drawings in the dust and we kept them with his other creations. One day, in the ritual time, he drew something with a paintbrush on a piece of paper. Then came the session with the tree. According to Jonathan, the first tree did not come out right. He tried another one next to the first, then a third and a forth. With every additional tree his distress grew. I wanted for him to enjoy this new stream of creativity that started to appear. I told him that the trees that he made look really good (They did). Especially as they are next to each other, they really look like trees in the field. Every one is somewhat different. One bends to the right, another to the left, as trees behaved in nature. But clearly this did not improve his mood at all. He became more and more bent under the weight of his sadness. Maybe you can try another technique, I suggested? You know, if you draw the tree with pieces of plasticine, you have more control and you can change things as you go. His hands were trembling that day from the heavy medications that he was taking at the time. He made a tree from lines of rolled plasticine. In his mind, this did not work too. It was on the tip of my tongue to say that the tree looked good, but I stopped myself. Something was wrong with trying to convince him that his work was good when he felt that he was failing. What did he really want from me? -You want to show me that you cannot do it? He looked at me with wide, open eyes. -You want me to know how hard it is for you to do things? -You want me to see how sad it is that you can’t? There were tears in his eyes and I had some in mine, as we looked at each other. The session ended and there was no need for further talking. In the next day, at noon, I took my lunch from the kitchen’s window and started walking back to the art room. I had a pile of lattice leaves on one side of the plate, and one of them fell to the floor. I bent down to pick it up and did not notice that Jonathan was walking towards me, on his way to the kitchen’s window. When he passed near me he caressed my head lightly, as one would do to a cat, and walked on. The next entry, #303, will connect #301 with #302. I have been on the spiritual path from the day I was born. Calamities happened and revelations were revealed. I have experienced the highs and the lows of human experience. The tendency is to push toward the highs and use any method that I can find, to eliminate the down turns. These days I wake up with pain that stands in the way of even making art and writing. I love biking so much that I bike almost every day lately, even with the pain. And then I suffer the consequences and do not sleep at night from the pain. What is going on? Since I create everything that my experience seems to bring, why do I create this suffering? I was told by inner guidance that as soon as I wouldn’t need it, it will go. Why do I need it? 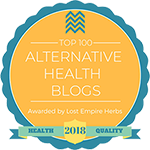 And of course there were all the good people, healers, spiritual mavens, good friends, who tried to encourage me to choose the highs, to use medications to reduce the pain, to take a look at this article, and to try this or that. I love this painting because it describes despair beautifully. The sea of sadness is under all the phenomena that is above it. The grass tries to cover it, but on the left side, it is exposed. Joy tries to spring out from some spot in the low middle. A tree grows from the green, but the sky around it seems to limit its space and is more like a prison than a space to expand into. Whatever tries to grow up is being blocked and pushed sideway by the heavy dark cloud that has the same color as the sea of sadness at the bottom. There is one more desperate effort to break trough the cloud with the magenta colored little shapes. It is being chocked in the dark blue cloud. Still, some lines that escaped the blockade and are at the top of the painting try to go up but they too end up broken and listless. There is a little thin hope on the top right. Oh, and I missed that baby little line on the right with the orange light on its side. This is the part of my consciousness that is truly free in this moment to turn right and walk into the space of infinite possibilities. But it is not sure yet that it really wants to go. Look at its top. It is looking back at the struggle. How to allow change to happen? A deeper view of the truth is needed. I will start going there in the next entry. H and I spoke about the light that I saw on the wall outside of my window. I mentioned opening a window and then opening the opening in the window. We talked about the pain. I thought about health and what my feet will do in a healthy situation. I have been making some kind of a horizon in my paintings lately, and maybe for many years. It is like an anchor of physical reality. Things can be attached to it or they can float away, to indicate freedom from the idea of an anchor. I have little things floating in the skies that I make, to also show some connection between heaven and earth. I have buildings, I have trees, I have openings in the buildings’ walls. I usually have something green. And I have some humans or animals that are twisted and obscured, but have strong hints of human or animal poses and movements. The earth has many times hints of rocks, cracks folds and ploughed fields. You can find things like these in this painting and in most of my other artworks. But the paintings are different from each other. What are different are the lines, the composition and the colors. So these are the real content of my works. Give me hands, give me spiders, give me stones, and I will use them to create different compositions, with lines that feel different and of course colors that tell different experiential stories. Many years ago I made prints that had only numbers in them. I’ve always been like this. So it is the composition and the expressions of the lines and the colors. Do you want to understand me? Look me up in these. But it will be only a relative knowing. It is impossible to understand me. I am infinite, just like you.